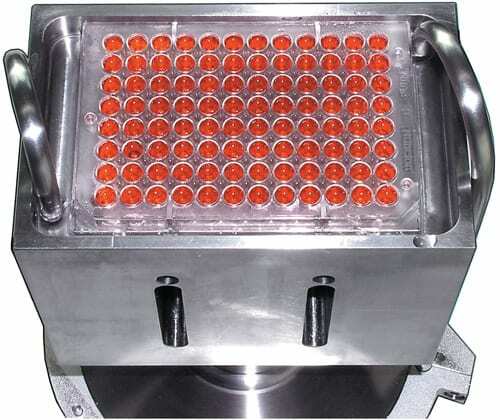 The ultrasonic processor UIP250MTP allows for the consistent sonication of an entire microtiter plate within the sonotrode. 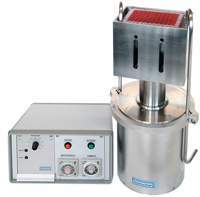 It can be used for the homogenizing, dispersing, degassing or for disruption of cells. The ultrasonic power is distributed evenly through each well of the microtiter plate giving you consistent and repeatable sonication effects. Furthermore, the amplitude of oscillation is adjustable and is maintained at the adjusted value for the whole sonication period. The UIP250MTP consists of the 250 watts generator, the sonotrode and the required sound protection hood (acrylic glass). This makes it a complete stand-alone unit that is easy to set-up and operate. The ultrasonic generator is tuned to the frequency of the sonotrode automatically so that there is no manual adjustment required (e.g. in case of a cooled sonotrode). Two attached tubes allow for a continuous flow of the liquid in the sonotrode. 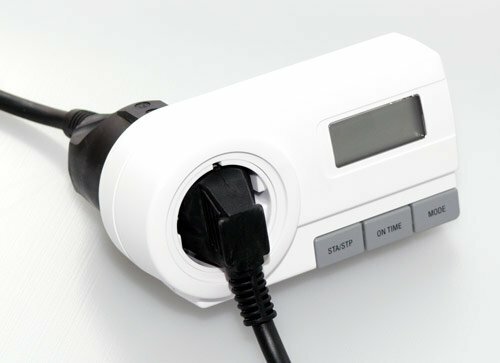 The UIP250MTP can be operated continuously (e.g. 24/7). It is dry-running protected and can be cleaned and disinfected easily. 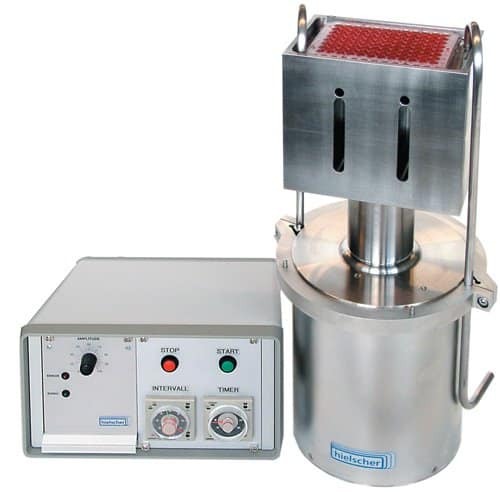 Pulsed operation or different sonication periods can be adjusted exactly at the front panel of the ultrasonic generator.